So summer has officially called time here in Australia - although warm days are still hanging in there. With Autumn weather comes awesome skies and after a failed attempt at photographing the 20+ dragonflies flying around the back garden (its freaky they are everywhere at the moment! 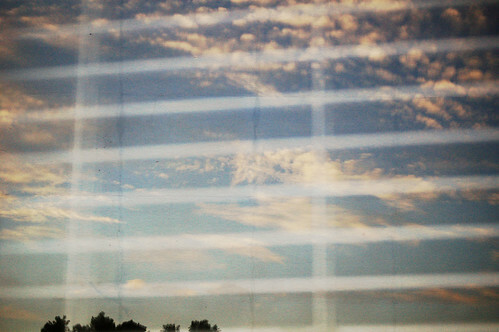 ), I spotted the wonderful clouds reflected in a window of my house. I did a little extra tweaking with some overlay action (Ink & Tea stained papers #5 - if you are interested) from Lost & Taken.